Maintain Your Investment, Update Your Home! Everyone will tell you that buying a home, instead of renting, is a smart financial move. When you rent, those payments will never go away. However, when you buy, eventually you’ll pay off the mortgage, freeing up hundreds of dollars in payments each month. To ensure you enjoy your home well after it’s paid off, you’ll want to make sure you do certain things to maintain its value. 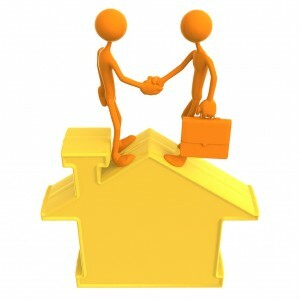 The investment of the initial purchase goes well beyond obtaining the home. To truly get the most out of your house, you need to continually update and maintain your property. This prevents small problems from turning into big problems. Leaky roofs, drafty windows, and failing siding are all things that need to be addressed as soon as they become an issue. Windows – Old windows can present many problems. If they’re drafty, they can have a large affect on your energy bills. If they are so old that they’ve begun to deteriorate, they can cause moisture in your walls. This could result in an entire piece of your house requiring replacement along with the window. If the materials are old or not of adequate quality, your insurance company may not pay to replace your roof if it’s damaged due to a storm. If your roof leaks, it will cause bigger problems with moisture inside your home. Your roof keeps your memories and valuables dry. Your home is where you build your life and you’ll want to maintain and protect that. Siding – Over time, your siding can become drab and tired looking. By updating to a more modern look, the exterior of your home will welcome you home. It’s also important to ensure your siding does its main function, which is to protect your home and keep it dry. At some point you’re going to want to sell your home or pass it on to your children. Keeping up on the maintenance throughout the years will make the process of putting it on the market that much easier. Updating your house will also ensure you’re passing on something of value for your children to enjoy. Either way, new siding, windows, and a roof should be done for your enjoyment. These things will make your house a joy to live in and a comfortable place to build memories! The Chuba Company is offering a special promotion on orders of $3000 or more on windows, siding, and roofs. Earn up to $500 off of your purchase when you place your order by October 8th, 2014! Call us today!